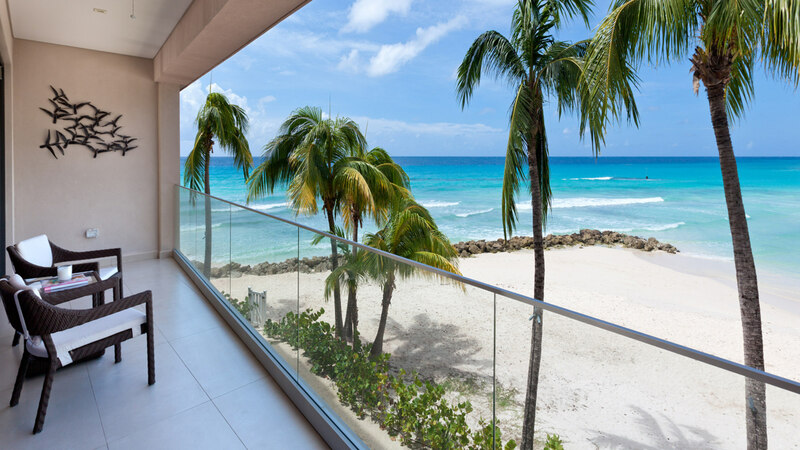 Capri One is a newly built contemporary styled apartment located at the prestigious Capri development overlooking Accra Beach, one of the best beaches on the island's south coast. 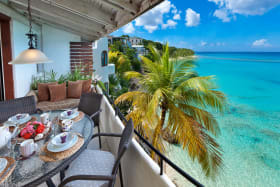 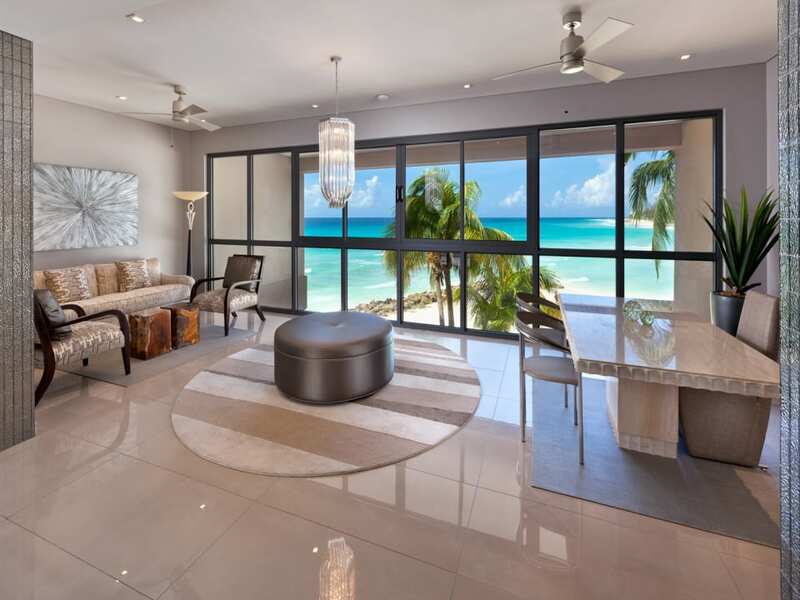 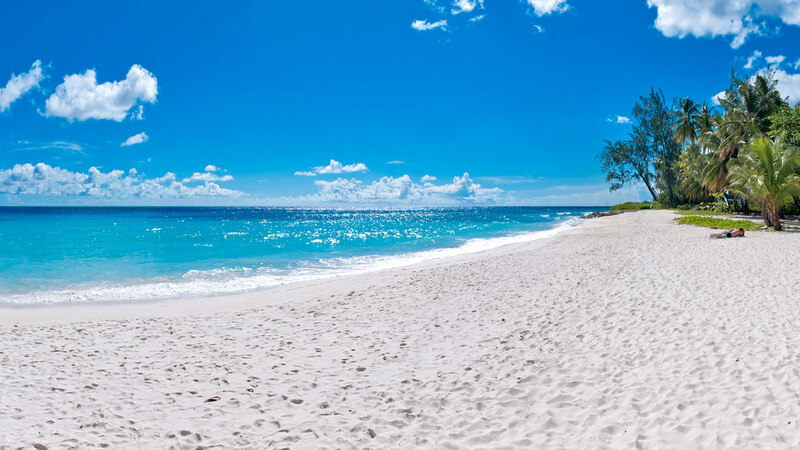 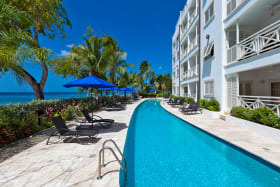 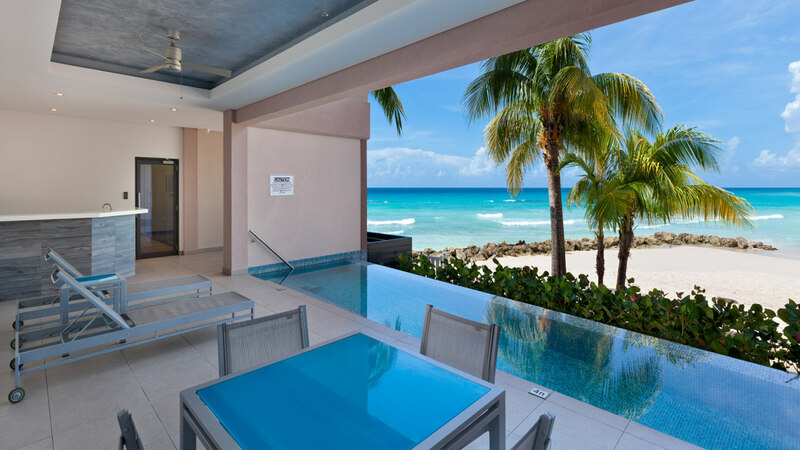 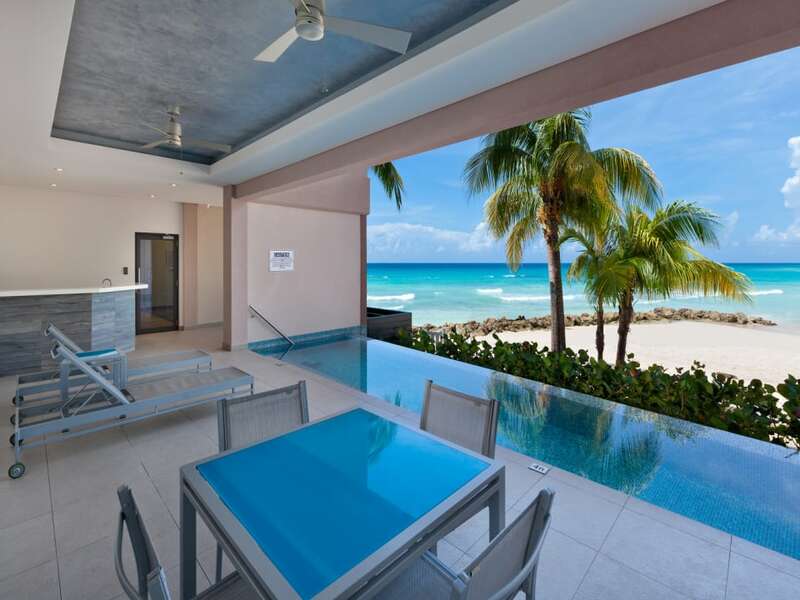 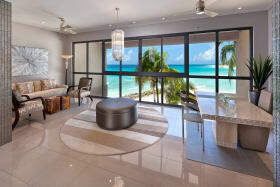 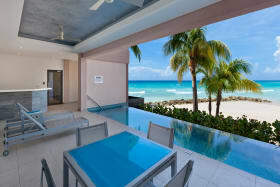 Easy access on the entry level yet still one floor above the beach, Capri One has stunning views of the expansive white, sandy beach and turquoise Caribbean sea. 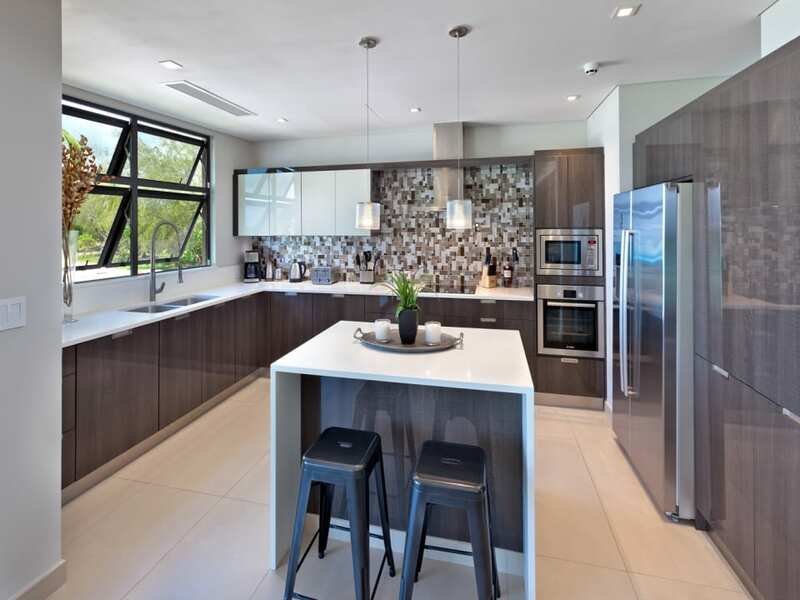 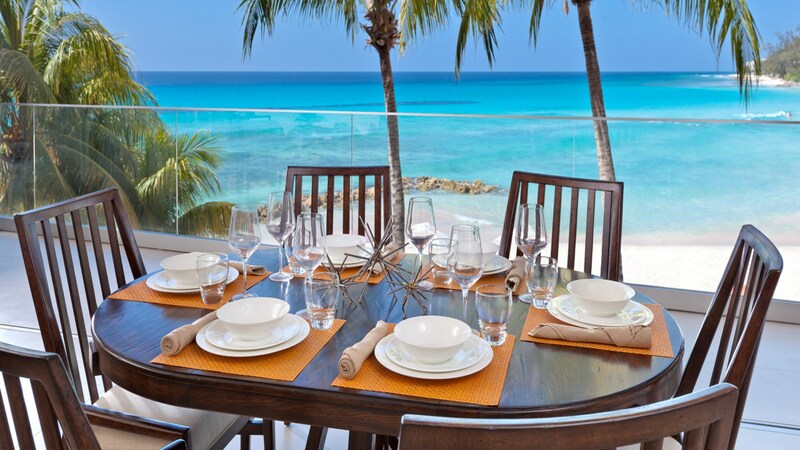 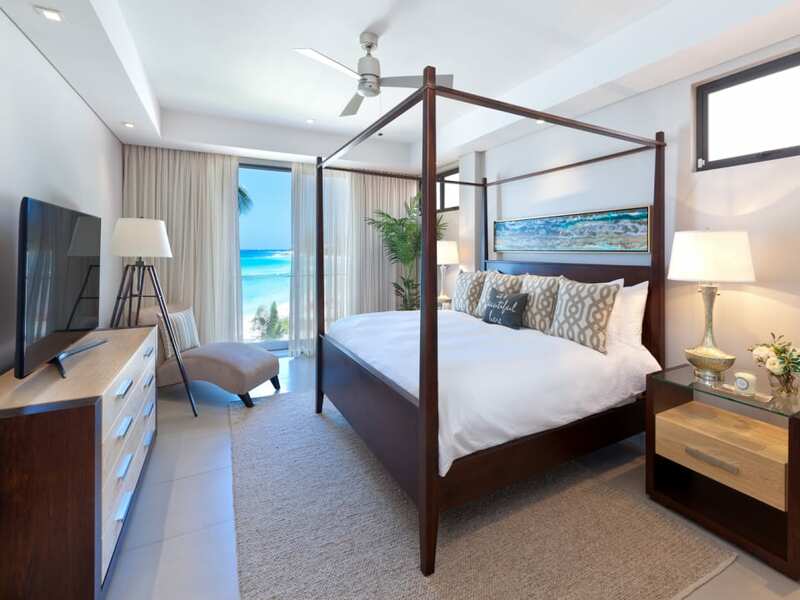 The living, dining and open-plan kitchen open to the beachside balcony and two of the ensuite bedrooms also offer amazing views of the beachfront. 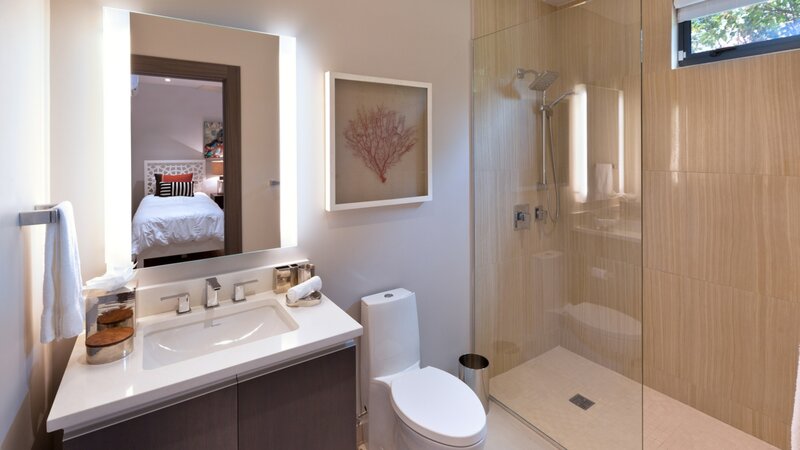 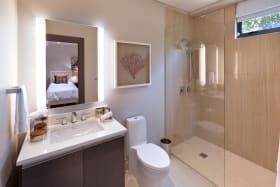 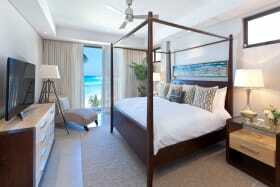 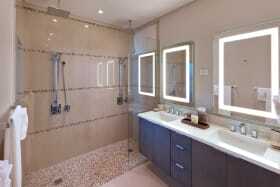 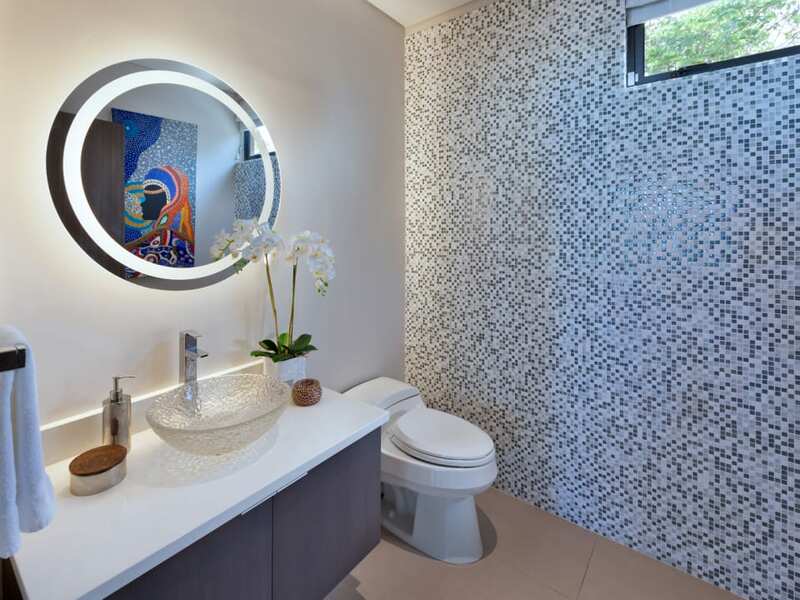 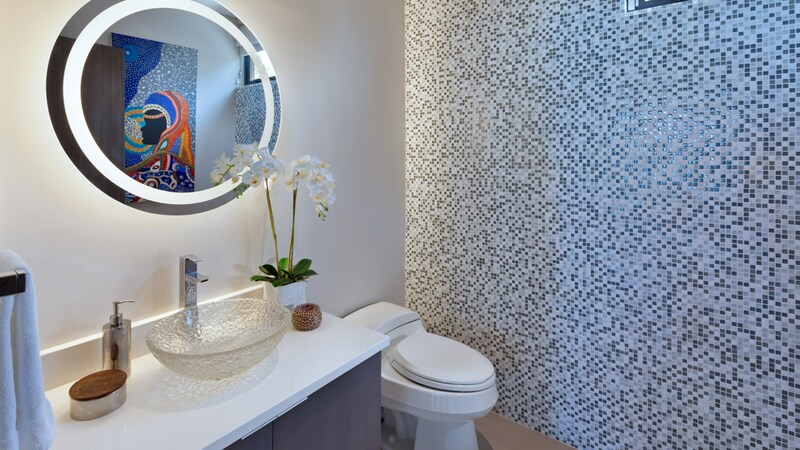 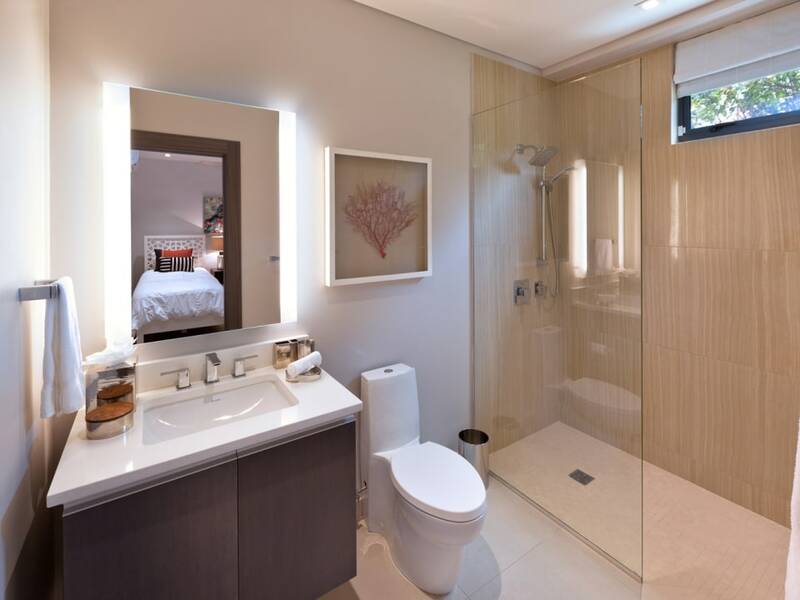 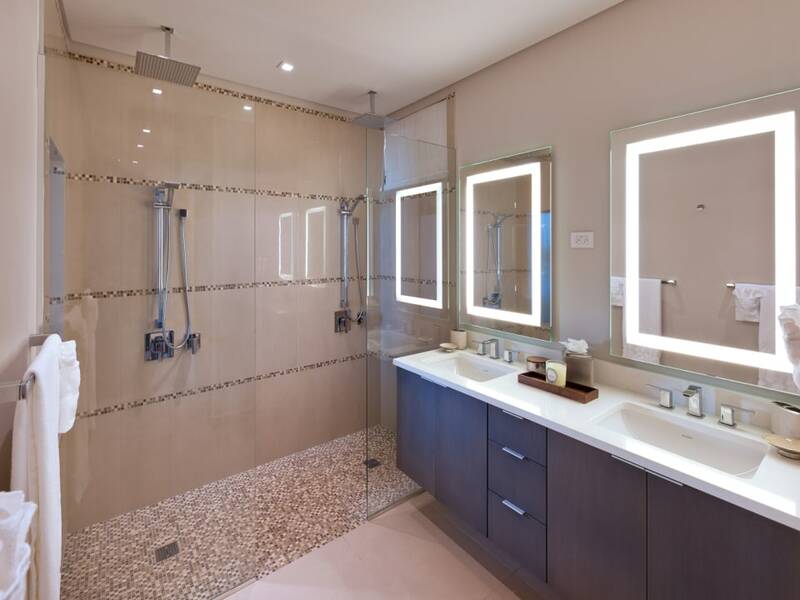 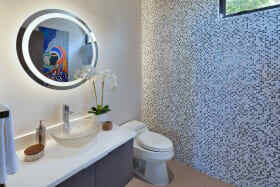 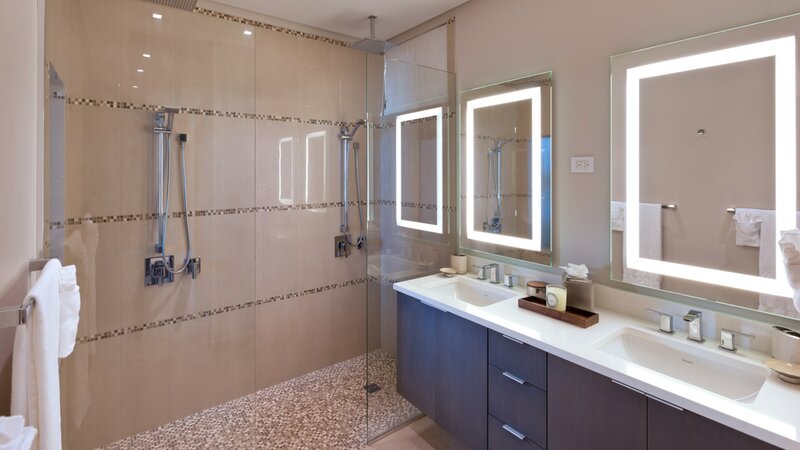 The master bedroom has a large ensuite bathroom and walk in closet. 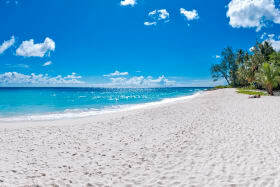 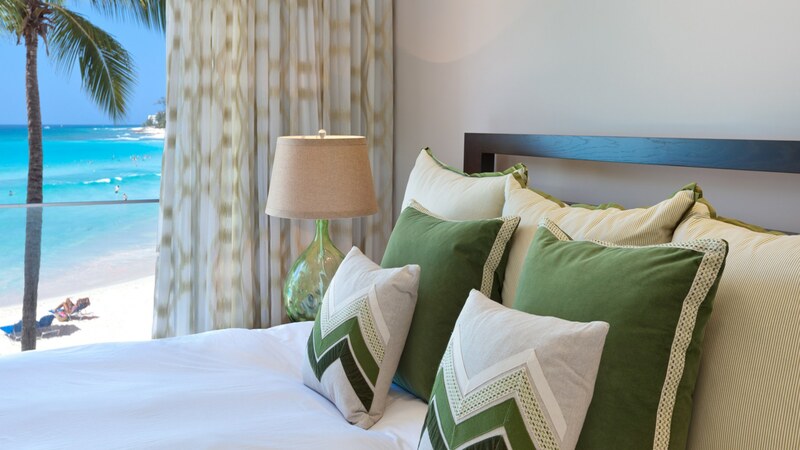 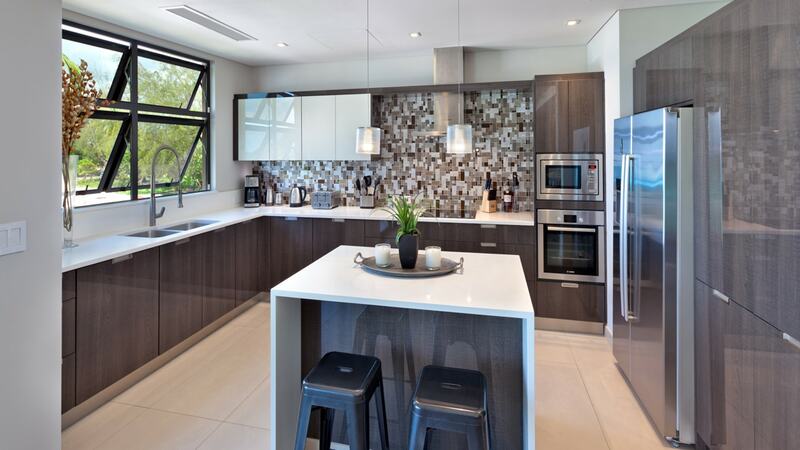 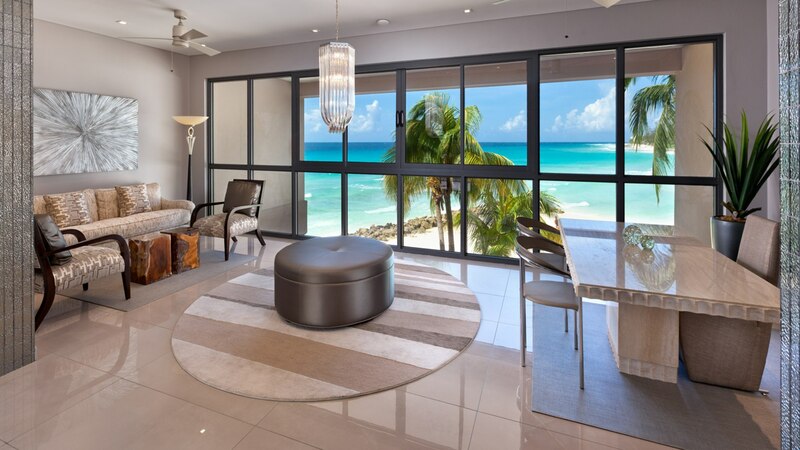 Central air-conditioning keeps the apartment comfortably cool and ceiling fans circulate the island breezes. 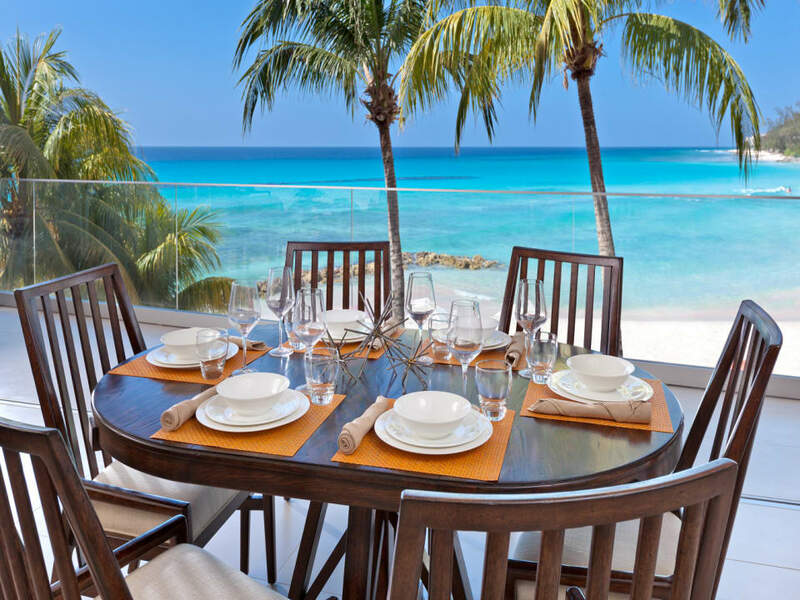 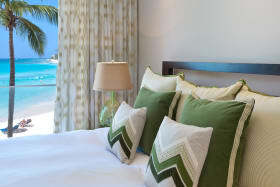 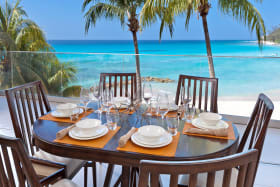 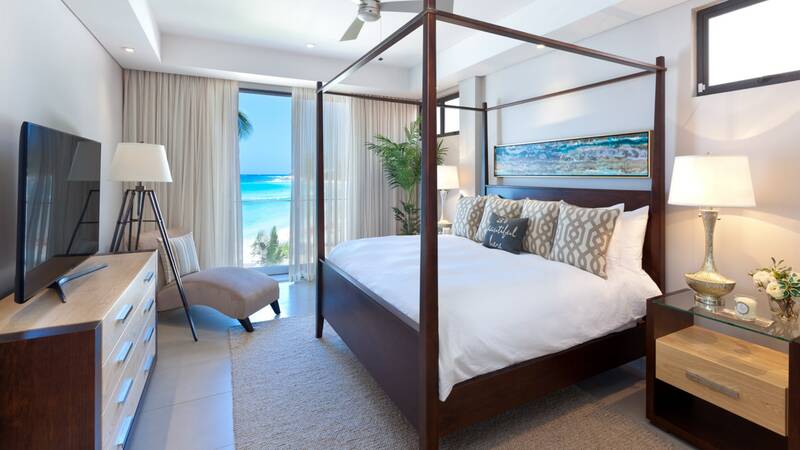 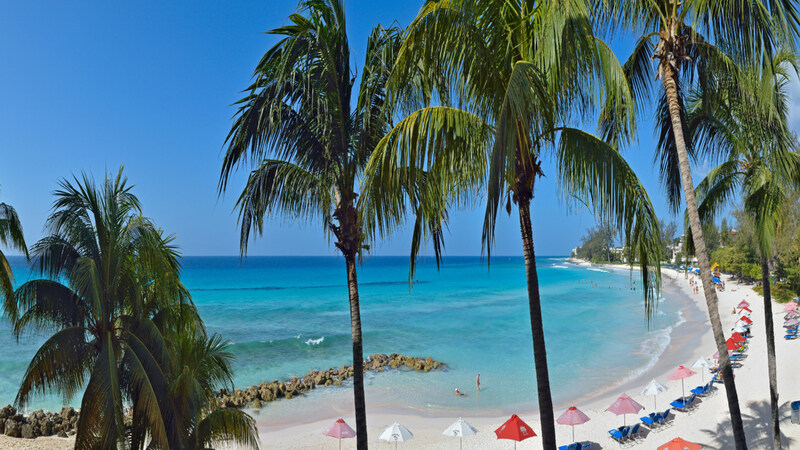 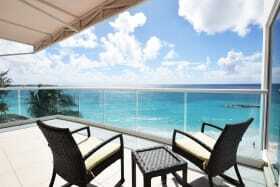 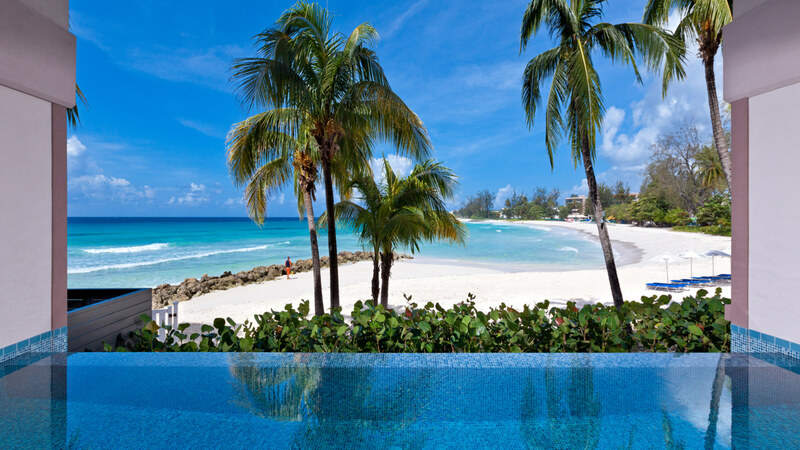 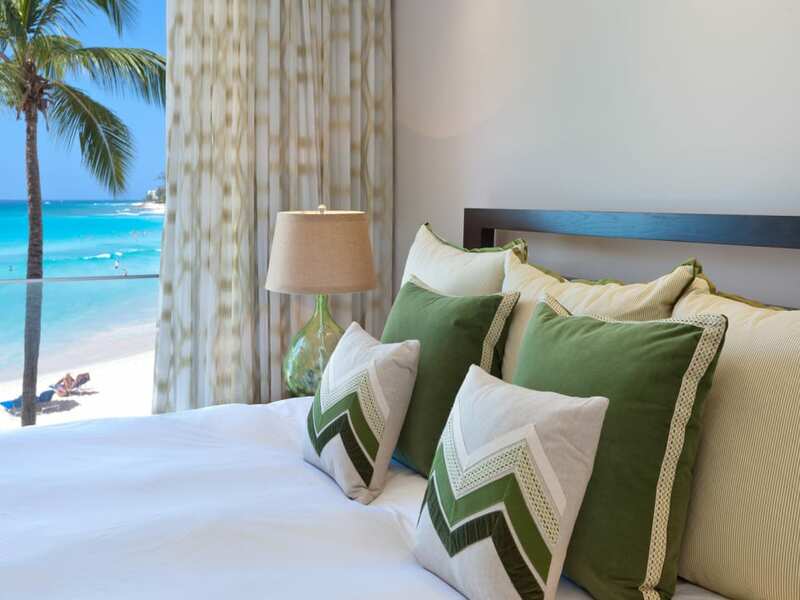 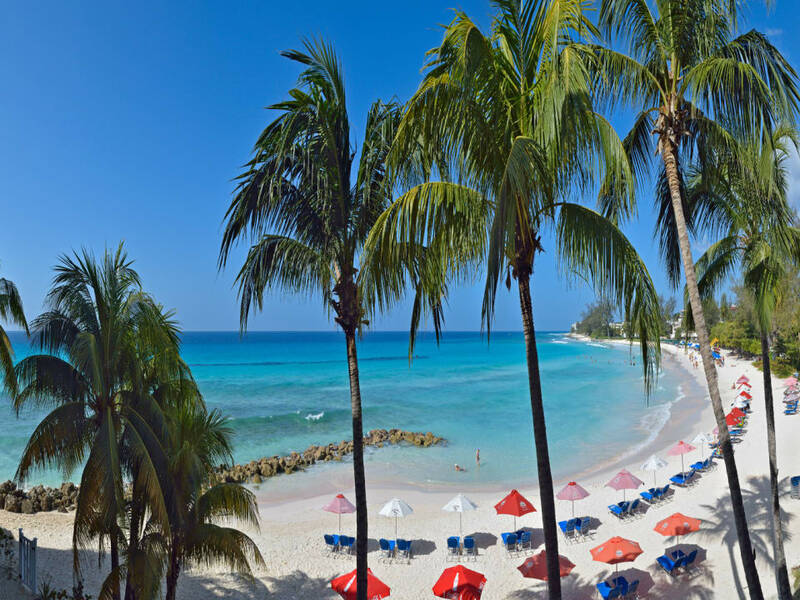 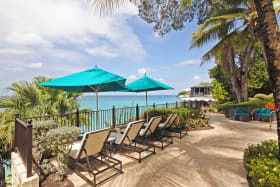 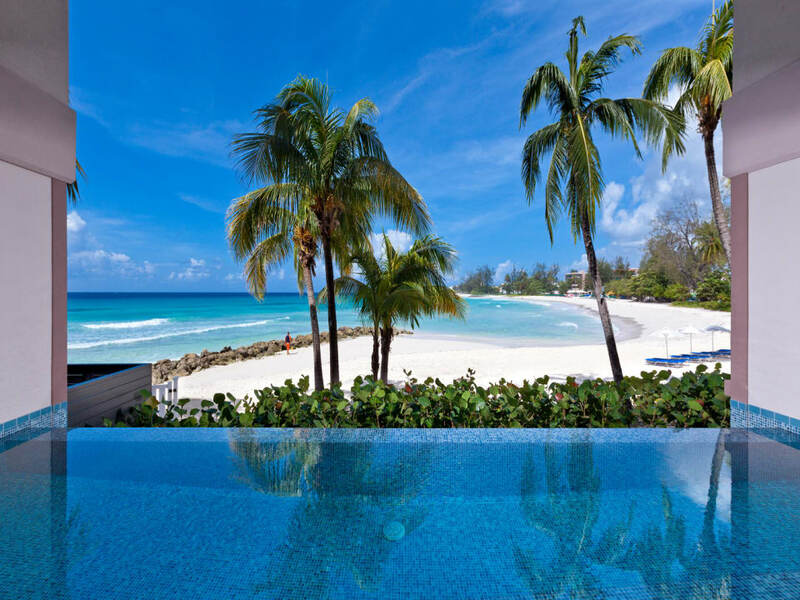 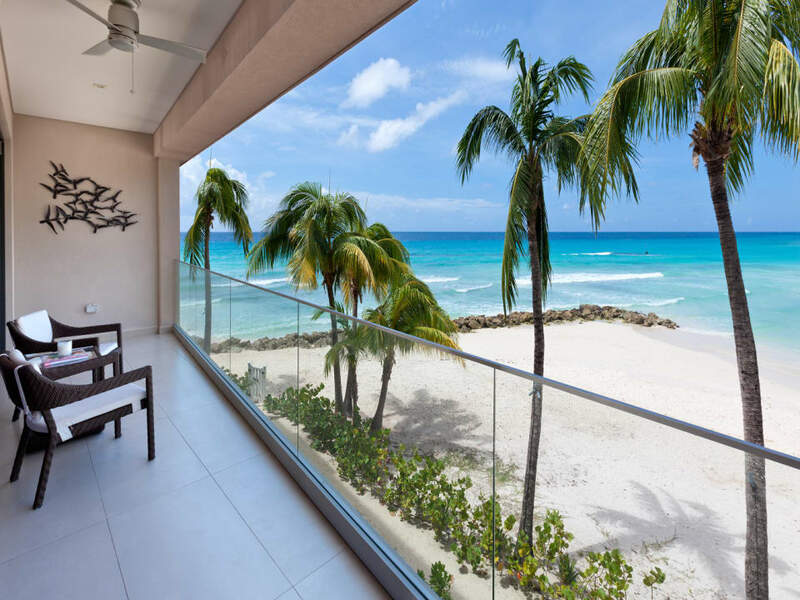 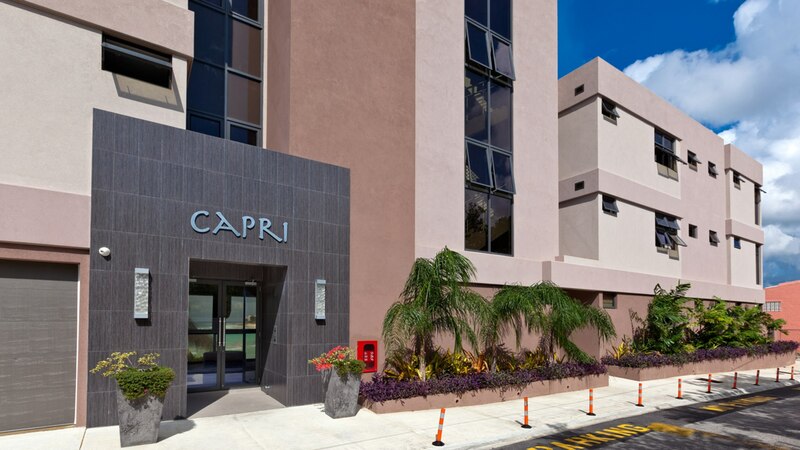 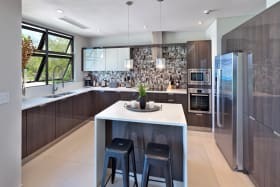 Completed in 2015, the five Capri residences have become very well known for their outstanding location overlooking Accra Beach and the excellent standard of finishes and decoration. 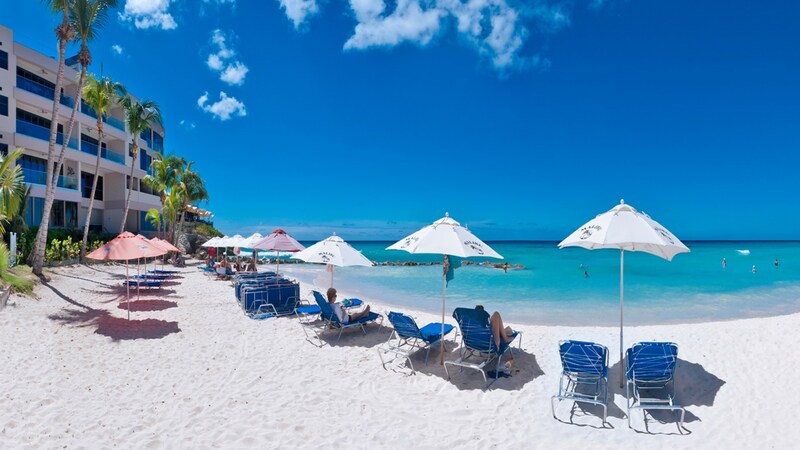 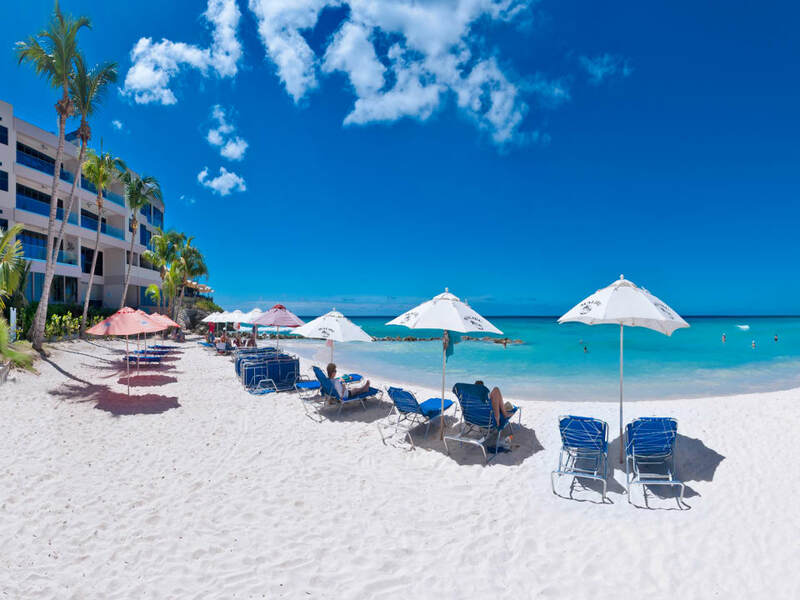 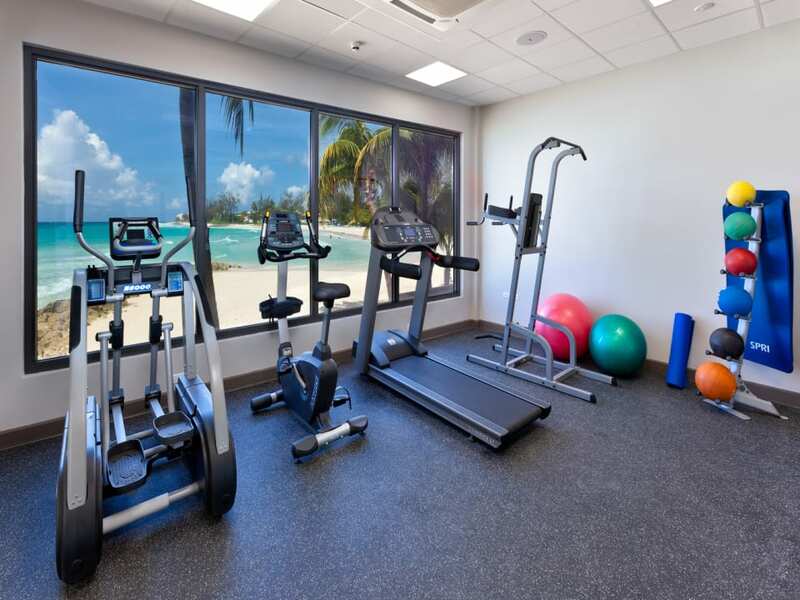 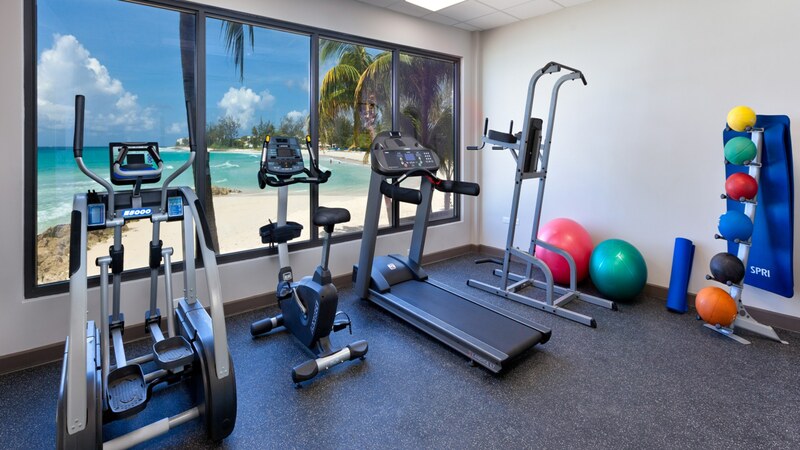 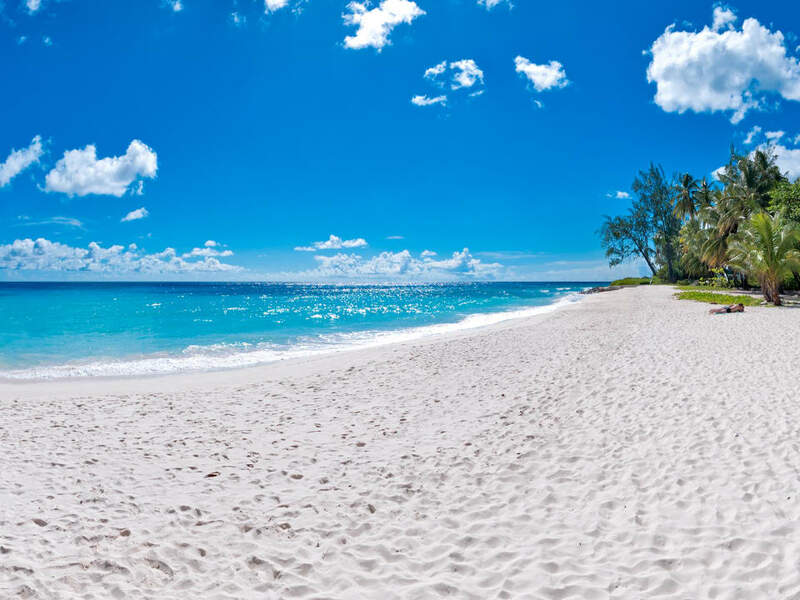 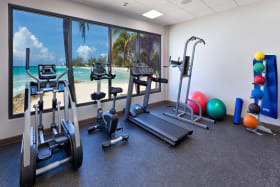 The building is completely secure and residents enjoy the use of the shared infinity edge swimming pool overlooking the beach, a spacious well- equipped gym as well as a recreation room and elegantly decorated reception room. 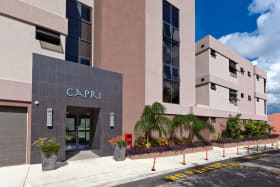 Dedicated and secure parking is also provided. 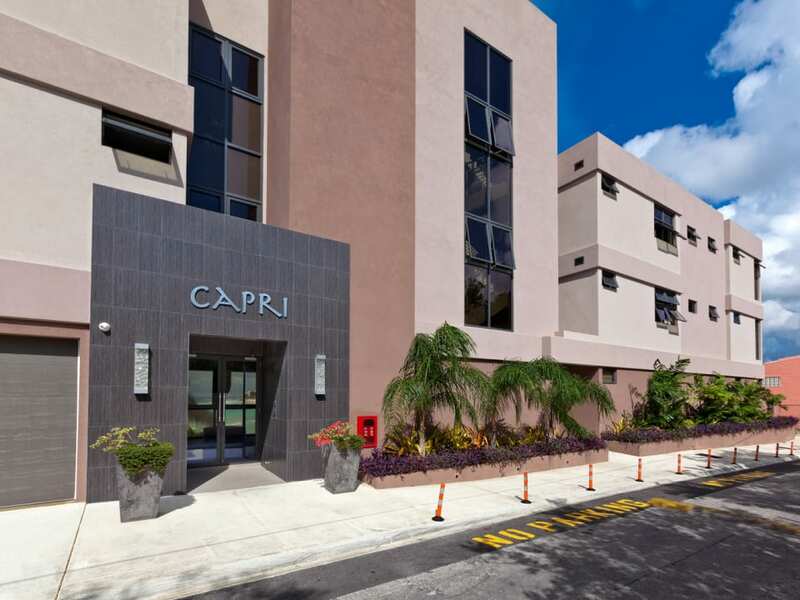 Capri has a fabulous location as it's off the main highway yet within easy walking distance of the myriad south coast amenities. 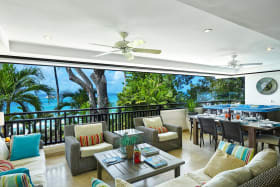 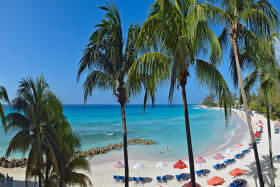 Champers Restaurant, one of the island's most famous restaurants, with cliffside fine dining and art gallery is just a few steps away.